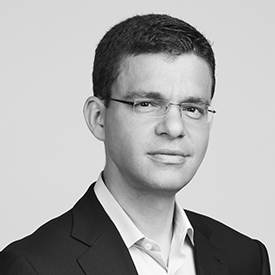 Max Levchin is the co-founder and CEO of Affirm, a financial services technology company and cofounder and Chairman of Glow, a women’s reproductive and sexual health company. Both companies were created and launched from his San Francisco based innovation and investment lab, HVF (Hard, Valuable, Fun). Max was one of the original cofounders of PayPal where he served as the CTO until its acquisition by Ebay in 2002. In 2002, he was named to the Technology Review TR100 as one of the top 100 innovators in the world as well as Innovator of the Year. In 2004, he founded Slide, a personal media-sharing service for social networking sites such as MySpace and Facebook which he sold to Google in August 2010. Also in 2004, he helped start Yelp, where he was the first investor in and Chairman of the Board from 2004 until 2015. He has served on several boards such as Yahoo!, Yelp, Evernote and currently serves on the Consumer Advisory Board of the U.S. Consumer Financial Protection Bureau. Max is a serial entrepreneur, computer scientist, philanthropist and active investor in more than 100 startups.